It should come as no surprise to any political observer that the biggest news story of 2015 was the federal election. It should come as no surprise to any political observer that the biggest news story of 2015 was the federal election — the most dramatic electoral shift in decades. For that reason, CBC News Network's Power & Politics selected Justin Trudeau as the top political newsmaker of 2015. But there were other players who dominated the headlines and altered the Canadian political landscape in profoundly important ways over the past year. We combed through this year's archives to bring you some of the highlights for each of the political newsmakers of 2015. Later this week we will bring you the top political blunders — and the political players and issues to watch for in 2016. 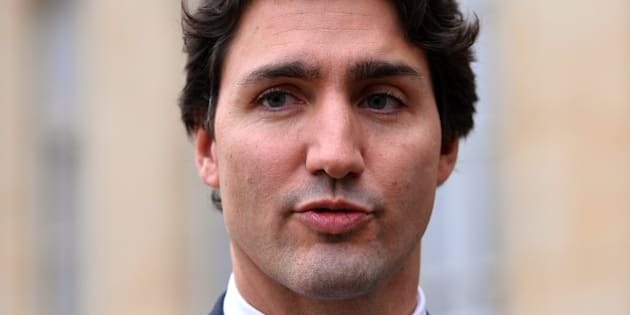 Justin Trudeau pulled off what few other political leaders in recent history have accomplished in vaulting his party from third place with a few dozen seats to a commanding majority in the House of Commons. In the end, despite tight polls throughout much of the campaign, Trudeau secured a majority victory with the mandate to implement his ambitious (and some would say costly) agenda for change — and he became the first son of a Canadian prime minister to follow in his father's footsteps. A man loved by his admirers, and often vilified by his detractors, Harper takes his place in the history books as one of the country's longest-serving prime ministers. He was heralded for his stewardship of the Canadian economy through tough economic times, but his party's shift to the right, and an embrace of identity politics, likely cost him the election on Oct. 19. The NDP was riding high in the polls when Harper made his trip to Rideau Hall to ask the Governor General to call an election. Tom Mulcair, a deft politician and a fierce debater, had earned praised for his performance in the House and his prosecution of Conservative scandals in daily question period. The party was buoyed by the unprecedented victory in May of NDP Leader Rachel Notley in Alberta. Mulcair looked like the most viable alternative to Harper. And yet some political observers say Mulcair's centrism — and his pledge of balanced budgets in sluggish economic times — took the wind out of his sails and sullied his party's reputation amongst left-leaning voters. The Liberals painted him as too similar to Harper, in style and substance. In the end, that tactic worked and Mulcair took his party from Official Opposition to third place despite early signs that a first NDP federal government was a real possibility. At the beginning of the year, few contemplated the NDP ever forming a majority government in Alberta. At one time, the party had been relegated to a few urban seats in Edmonton. But Rachel Notley struck a nerve with disaffected voters in a province that has faced dramatic social and demographic change over the past two decades. Her bold platform was a departure from policies of the past. Since her election she has moved forward with action on climate change, despite her province's financial reliance on the oil and gas industry. And she has committed what was once seen as a cardinal sin in a province that prides itself on fiscal prudence: her government is running a deficit as she ramps up spending on education and health care despite stubbornly low oil revenues. The "ol' Duff" says he was appointed to the upper chamber by Harper to provide "third party validation" for a prime minister many suspected of having a hidden agenda. He stumped for Harper across the country, singing his praises. His efforts didn't go unnoticed, as Harper called the former TV star one of his "greatest appointments ever." But when Duffy's travel expenses and living expenses for his home in the Ottawa suburb of Kanata brought the attention of Senate finance officials and the media, Harper told him to repay the money. Harper's former chief of staff stepped in and gave $90,000 to Duffy for the repayment — but it was too late to forestall auditors and, eventually, the RCMP, leading to his trial on 31 charges of fraud, breach of trust and bribery. Duffy told the court during his time in the witness box that he was instrumental in the securing Harper's majority government in the 2011 federal election. But the details that emerged from his trial — and the documented proof the PMO had mobilized to manage communications about the affair — were anything but helpful in the latest election campaign.